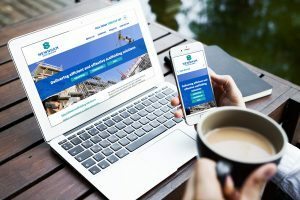 We have gone live with a brand spanking new WordPress Web Design for Newnham Scaffolding. Great clients to work for and we are glad to get this site up and running for Jed and his team. Now looking at getting onto the first page of Google for their chosen keywords. We have made the site clean, quick and informative providing clarity on what they do and ease of navigation. Obviously built in the WordPress CMS – thats what we use!